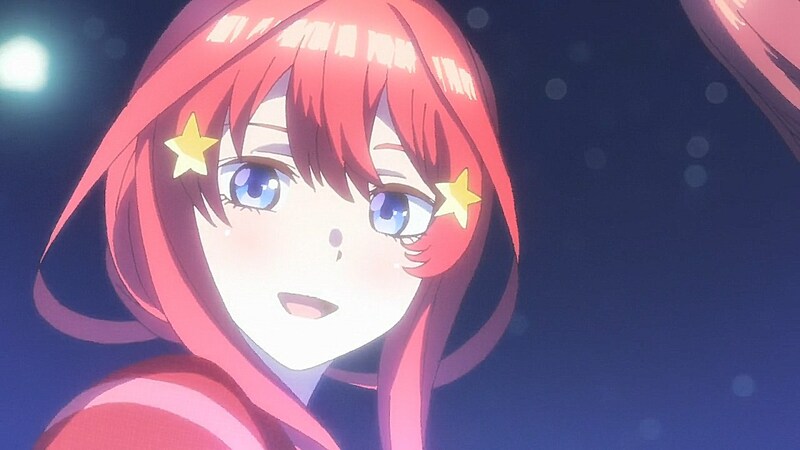 Just as Episode 02 was a proof-of-concept for Miku being the best girl, Episode 05 does the same for Ichika as we learn about her acting ambitions, see her personality come out through when she is in a tight spot, and watch some of the chemistry between her and Fuutarou flourish as the eldest sister who wants a clear-cut answer as to what her and her sisters mean to him. 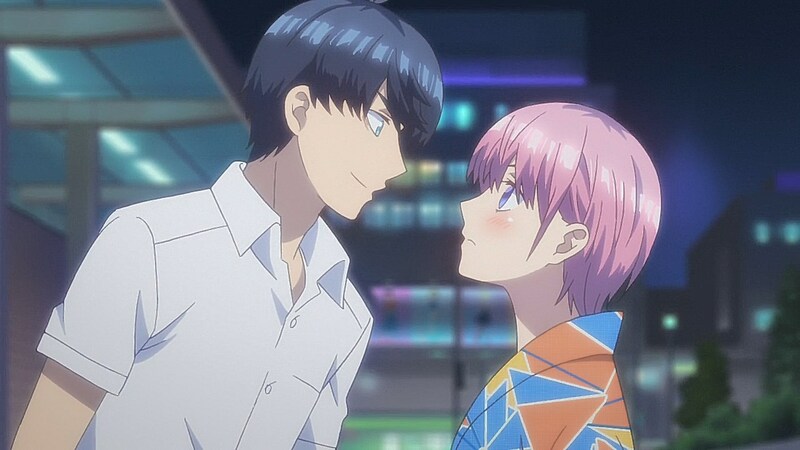 At the same time, Ichika’s situation gives Fuutarou an opening to reflect on the role that he must take as he tries to figure out what exactly his relationship is with the Nakano sisters. 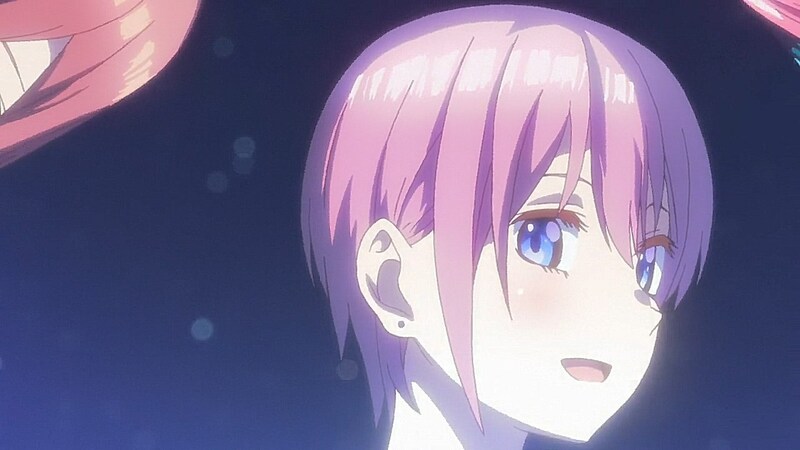 The last episode did an effective job at keeping you guessing as to what exactly Ichika’s job was. With the mysterious and sketchy look of seeing her being driven around by a mustachioed man, they made it look like compensated dating. 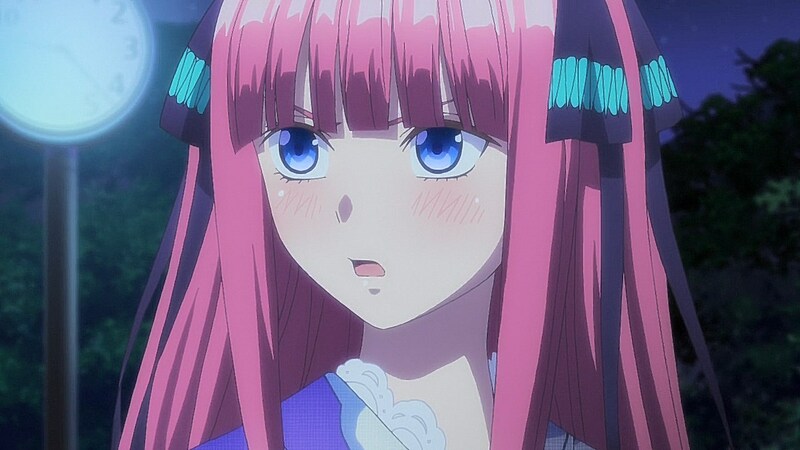 Him asking what Fuutarou’s relationship with Ichika was certainly didn’t help to clear the air around the situation. 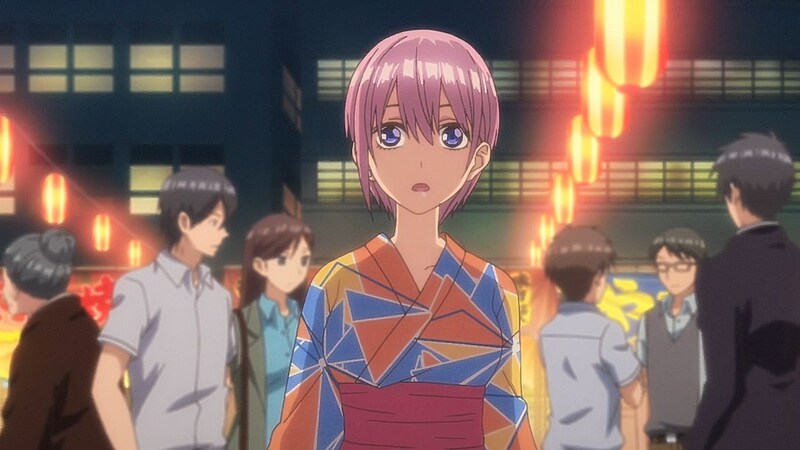 In this episode, however, the story’s subterfuge paid off by having Ichika reveal that she’s an actress who had just landed an audition for a highly coveted lead role for a movie on the same night as the fireworks festival. 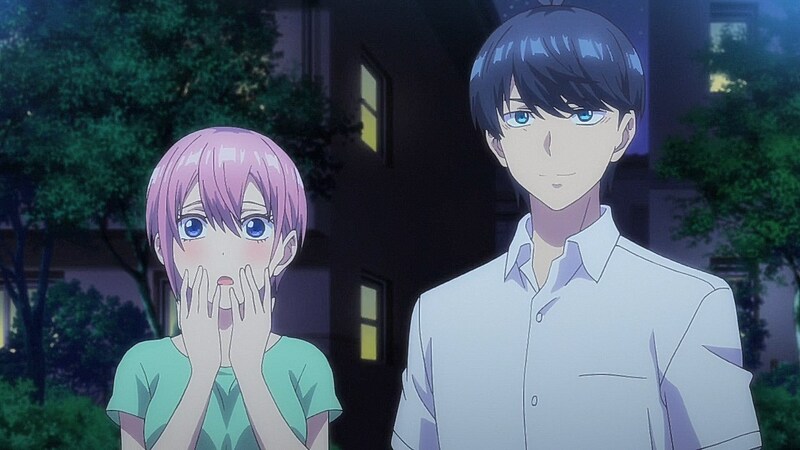 It was easy to see that Go-Toubun wouldn’t have gone in a dark enough direction to use compensated dating as a plotline, but I have to admit that they had me shocked for a second. 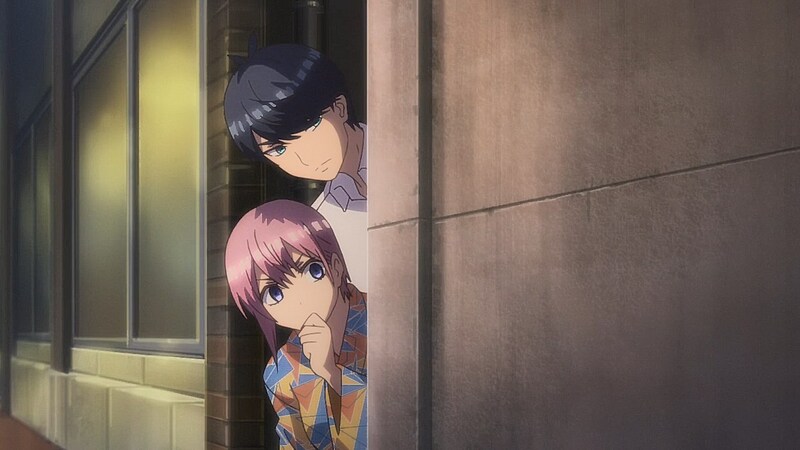 It was a funny surprise to see him more interested in Fuutarou, but it was a short throwaway gag to segue into Fuutarou and Ichika leaving to regroup with the sisters. 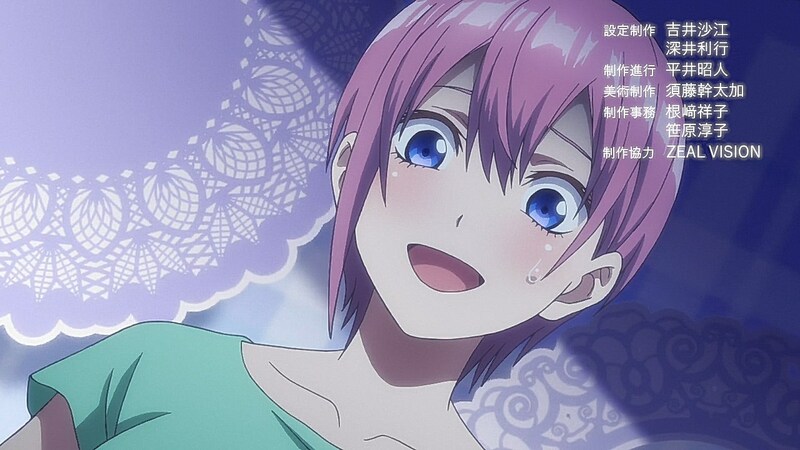 Above all else, this episode was Ichika’s time to shine. 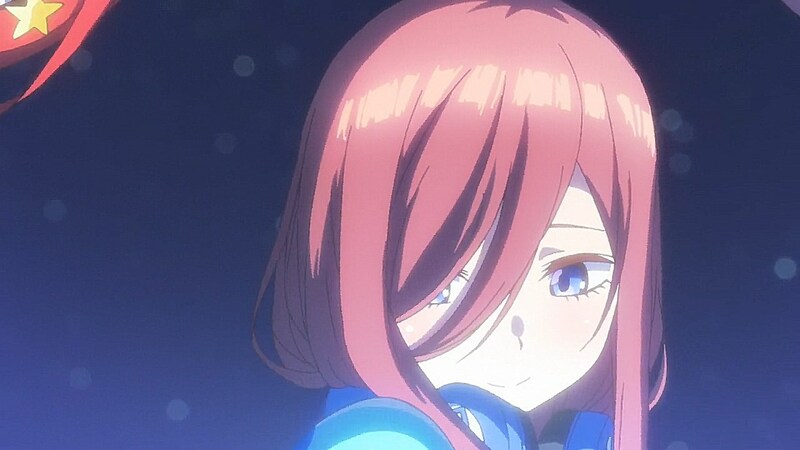 She was previously a sister I was on the lookout for because I like the comically flirty onee-san trope, but she didn’t have much to work with in past episodes since Miku, Nino, and Itsuki were given the most time with Fuutarou. 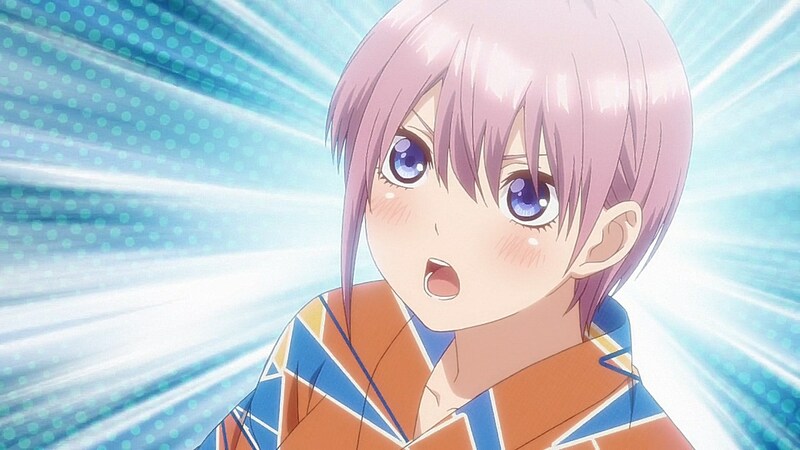 However, she’s right back in the game with this episode as we understand the mindset that she carries as she tries to achieve success without having her sisters worry about her. 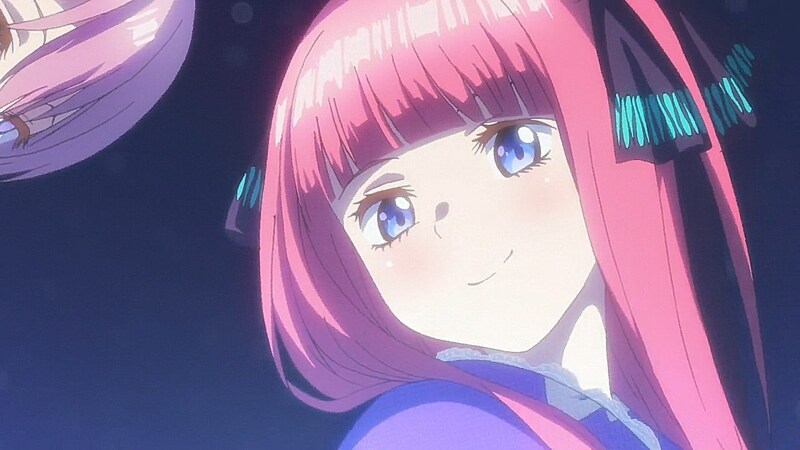 She puts on a cheery veneer, but Fuutarou is perceptive enough to sense that she is fearful about the possibility of not being able to live up to the standards she places on herself. Because she’s self-conscious about how she’s perceived by her sisters, she wants to look like she has her life together, but this would be far more of a challenge if they were to learn that she’s an actress and she ends up tanking an audition or landing a minor role in a small production. 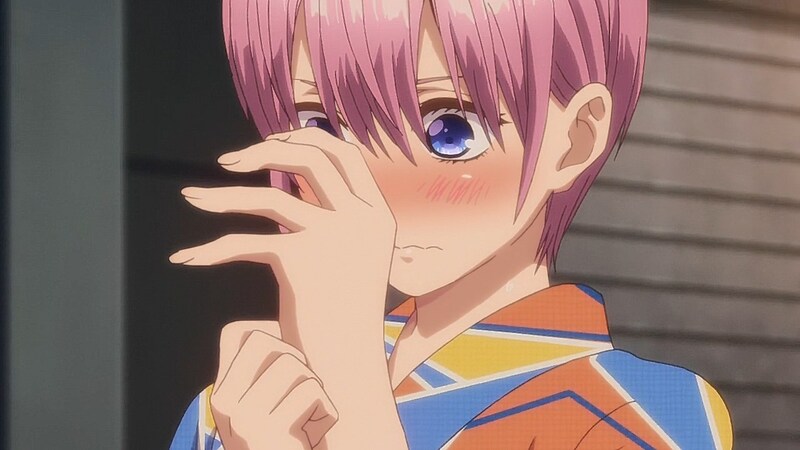 It did bring about further complications by keeping it a secret, especially since Miku almost got dragged into Ichika’s audition, but it gave Ichika the floor to get to know Fuutarou. 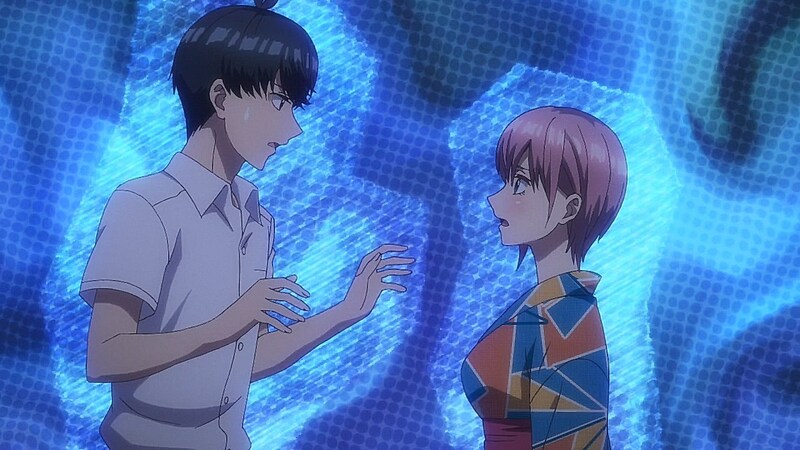 It’s through Ichika’s interactions with him that we learn about the maturity behind her real personality as she does her best to try to understand why Fuutarou is so heavily invested in her and her sisters as well as help direct him towards comprehending his own feelings towards them. 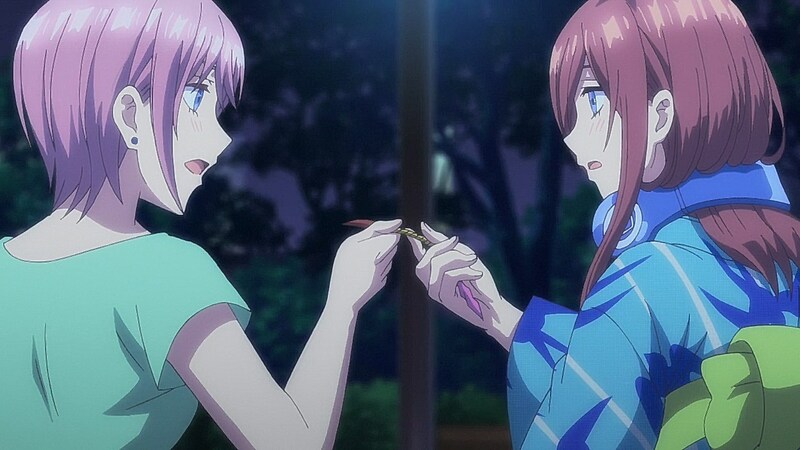 It’s through these interactions that Fuutarou starts to see himself as a partner in a cooperative relationship with each of the sisters. While he would prefer if they study so that he feels like his efforts were worth the money they were giving him, his initial thoughts of seeing them as a meal ticket has been gradually dissipating with every obstacle he helps the girls face. 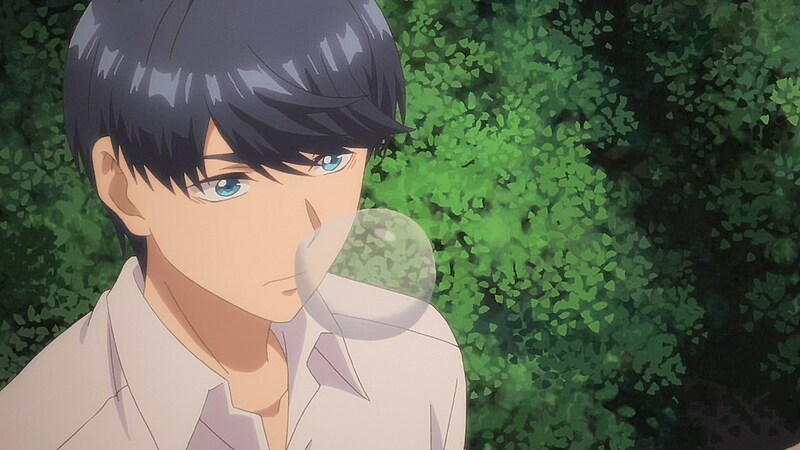 As Fuutarou spends the last episode mulling over what the sisters are to him, he comes to realize that he has a personal investment in bettering their lives outside of just studying despite his overarching goal of making them get better grades. He starts to relate his own experiences with them while he reflects on his past, entwining his experiences with the memories each of the sisters cherish of their mother. 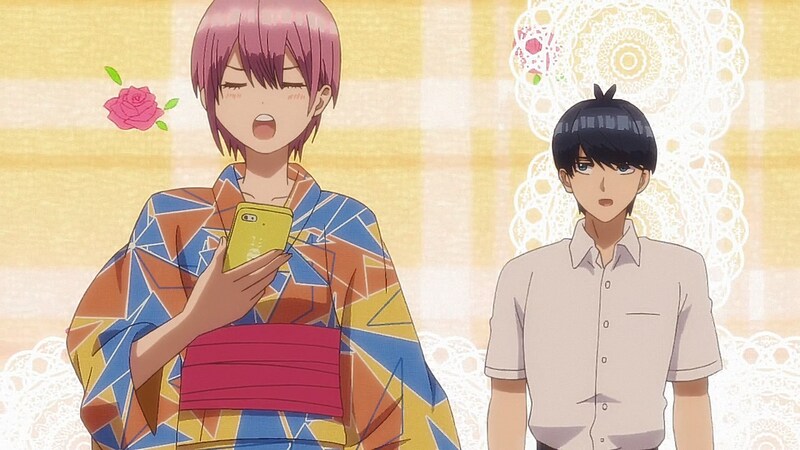 But Fuutarou ends up hit the hardest when Ichika is reading the lines from her script with him. 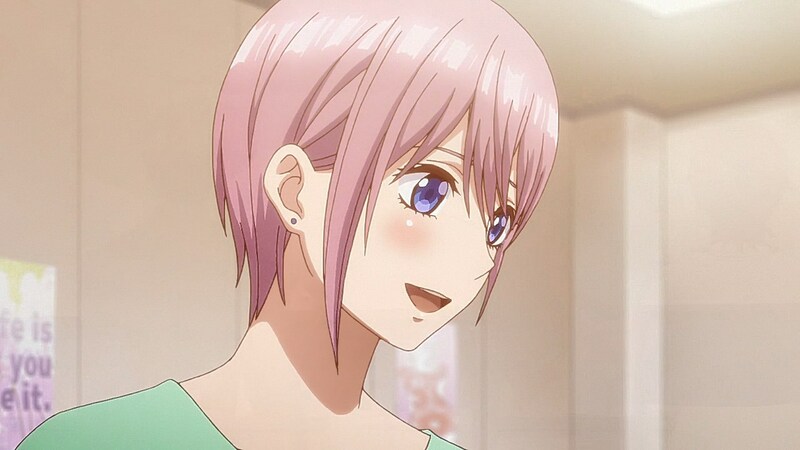 Due to the content of the script involving Ichika’s character thanking her teacher for their best efforts, Fuutarou can’t help but think of himself as he is touched by the idea of hearing one of the sisters thank him for being there for them. 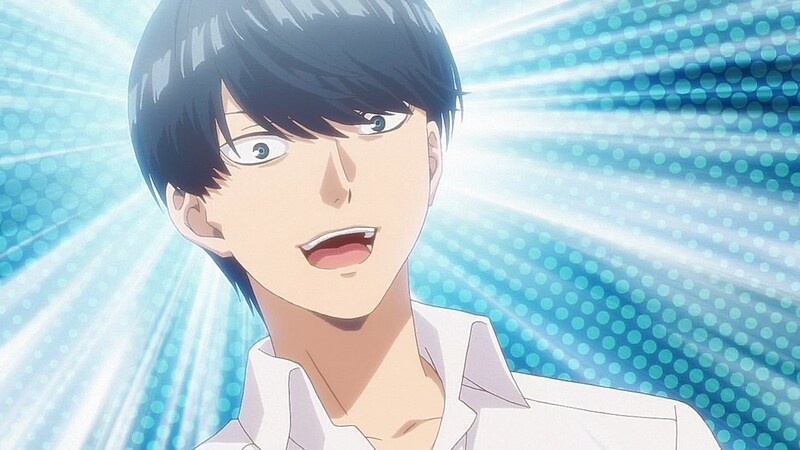 It’s through his own comprehension of the good deeds he does for the girls that he develops as a person and takes note that some of his best traits such as being perceptive and empathetic come out specifically because of the Nakano sisters. 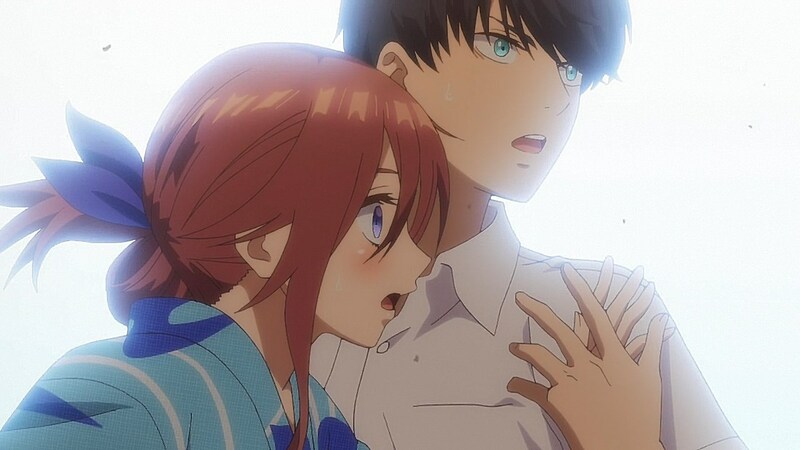 Episode 05 of Go-Toubun was a treat as it gave us insight on what makes Ichika tick and is reflective on what Fuutarou himself is getting out of trying to improve the sisters’ personal lives along with their grades. 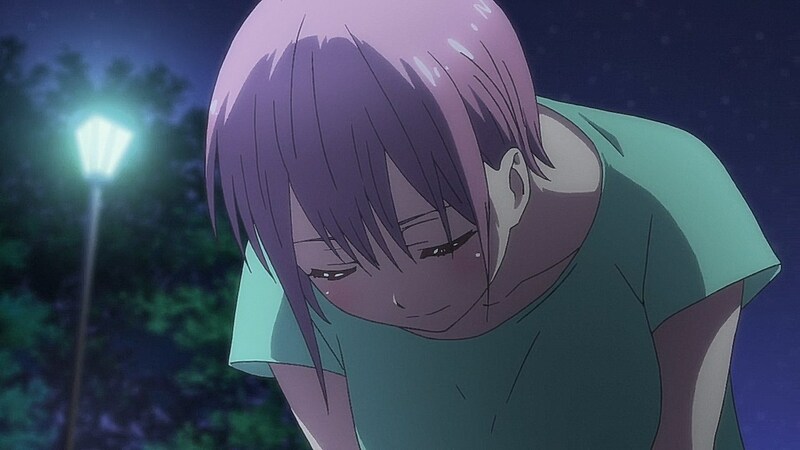 The episode gives us a hopeful prospective on Ichika’s character as she takes on a more compassionate role in trying to boost Fuutarou’s state of mind as he attempts to get the sisters to study. 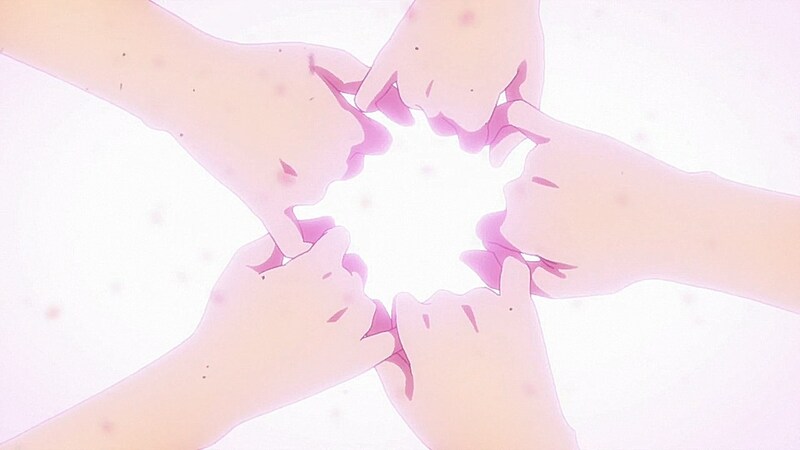 It also gave the viewers insight on how Fuutarou is developing in the process of helping the girls open up to one another and build up their confidence to better themselves and their relationships with those around them. 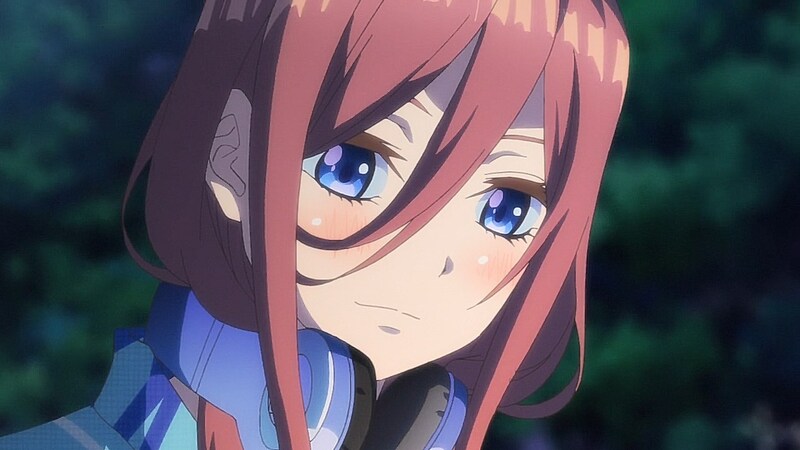 We also have quite a bit of growth for Miku as she gets fonder of Fuutarou while Nino grapples with her emotions to thank Fuutarou for gathering them all together. 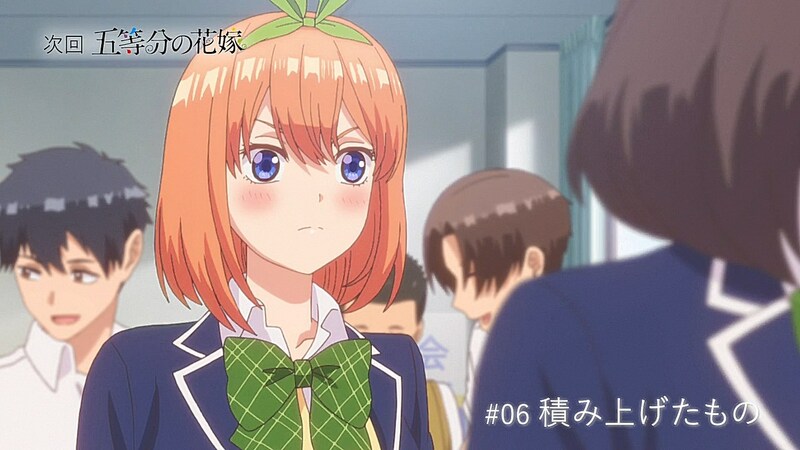 The rivalry among shipping crews might be heating up the further we dive into the series, but at the very least, Ichika’s followers have something to work with this time around to balance the scales in her favor. He starts to relate his own experiences with them while he reflects on his own mother, entwining his memories of her with the memories each of the sisters cherish of their mother. ?? This is not his mother. The next scenes after this should have been a clue. The part with Nino looking at her phone before Itsuki called her. Hardly a blink and you’ll miss moment. There was enough time to see and consider those parts to form some speculation. 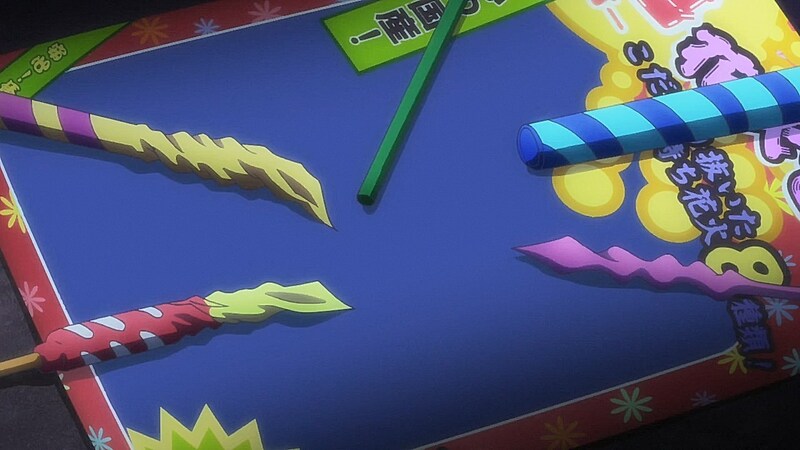 Yeah, I have no idea why they thought it was a good idea to use that as Nino’s phone background in the anime. I’m not a manga purist or anything, but that’s a pretty important plot point and to just add that in for no appreciable purpose is kinda odd. Still loving this though. It did throw me off a bit, but I’ll make sure to be more attentive with the details given. How am I suppose to focus on the plot of the show!? There’s a plot?! I thought we were all just here to overdose on Miku! 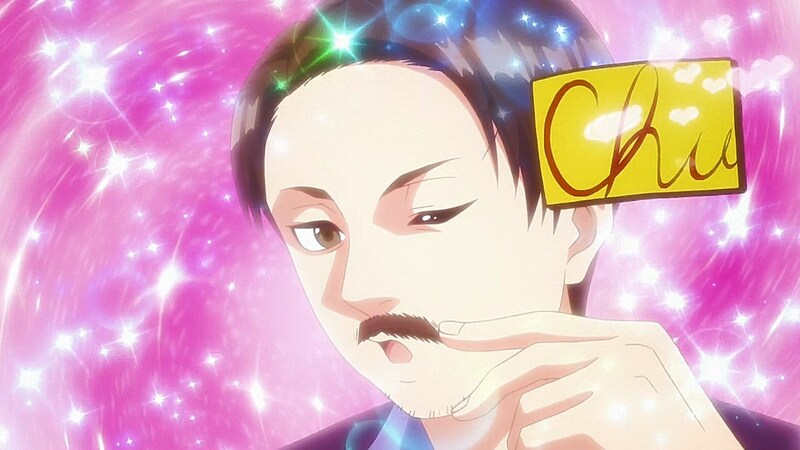 Fuutarou is such a dumb, dumb, he annoys me! 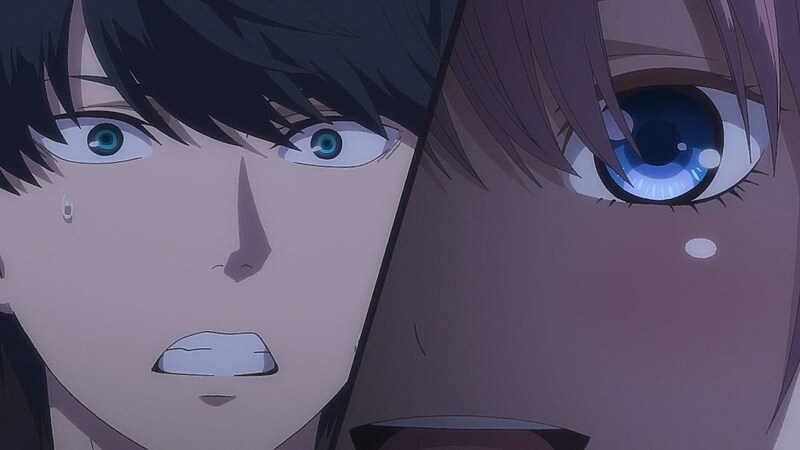 Recognize your own feelings already BAKA!!! 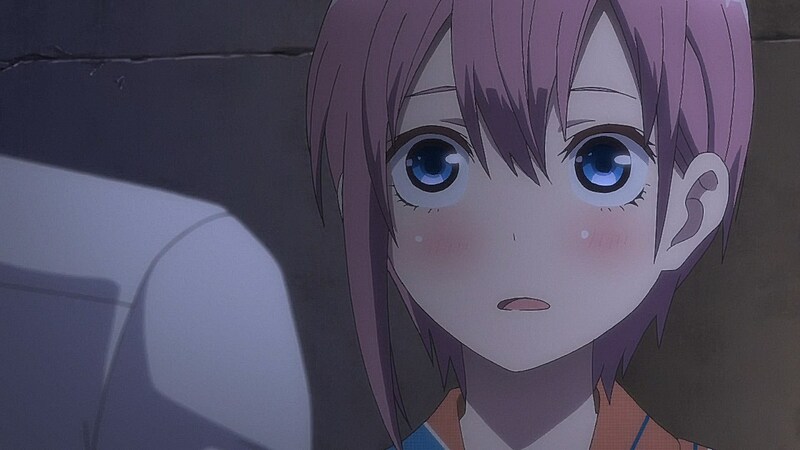 It seems like Ichika is desperatly trying to move on with her life. I may be wrong but it certainly feels that way to me. In any case glad to see that the girls got to experience their fireworks at the end of the show. Ichika lap pillow, unlocked! 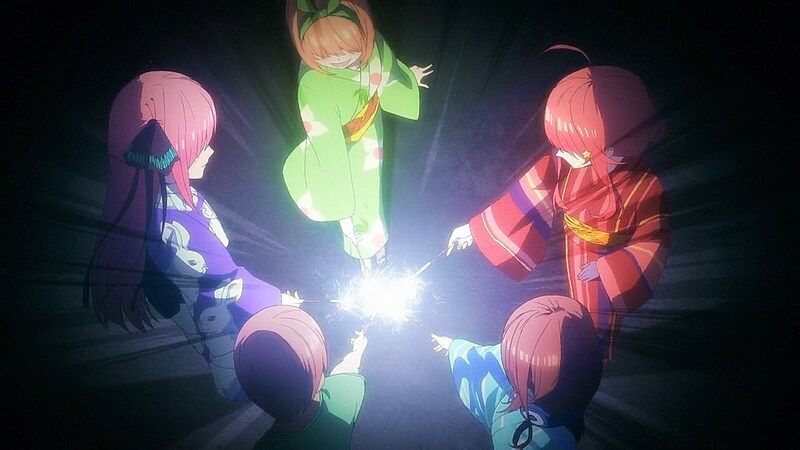 And Yotsuba scoring imouto-points on the sly! Yotsuba’s long game is quite clever since she’s starting with his sister and working her way up from there. 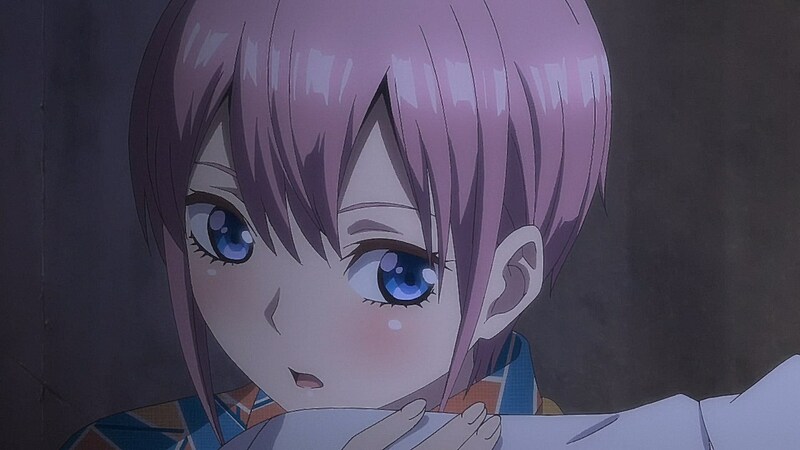 Ichika has some good coverage as well with the lap pillow unlock, but the poor guy was asleep through it so chances are he never got to look up at Ichika. 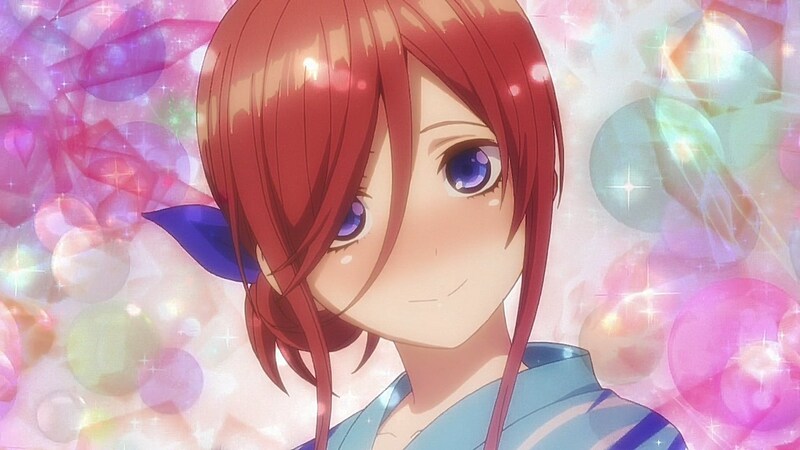 Thank you for giving me my weekly shot of Miku cuteness. 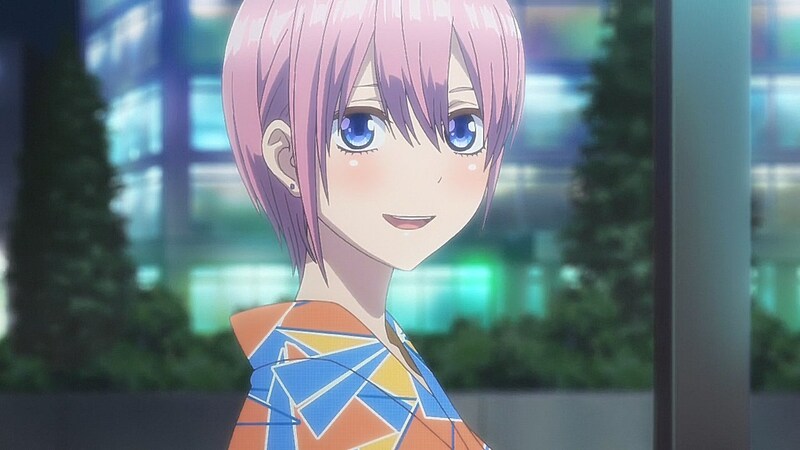 Good episode for Cruise Ship Ichika. Still in the Aircraft Carrier Miku ship though. 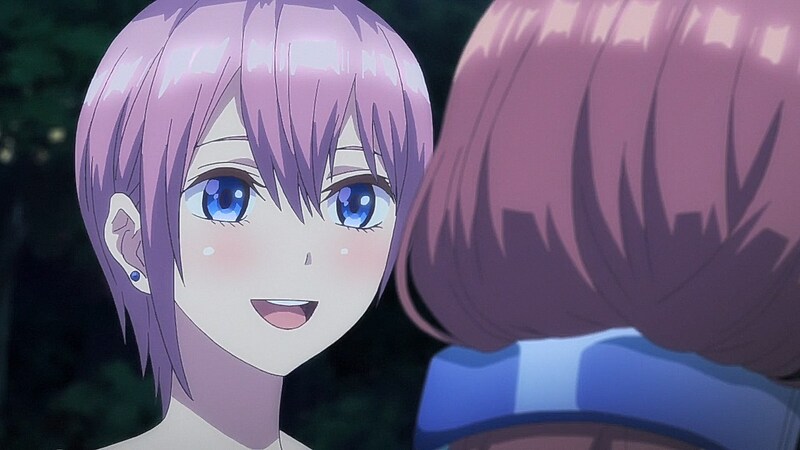 True, although it was a great episode for Ichika, Miku got an extremely far head-start as soon as Fuutarou won her respect around Ep.2. 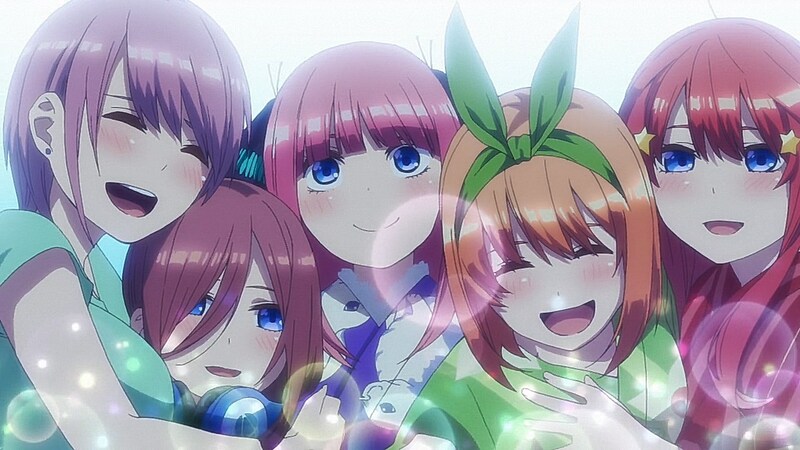 Current Quintuplet ranking (best to least) 3, 1, 4, 5, 2. It trips me up that the show has so many talented seiyuu and yet they all blend into their roles so well that it’s hard to tell exactly who is who. 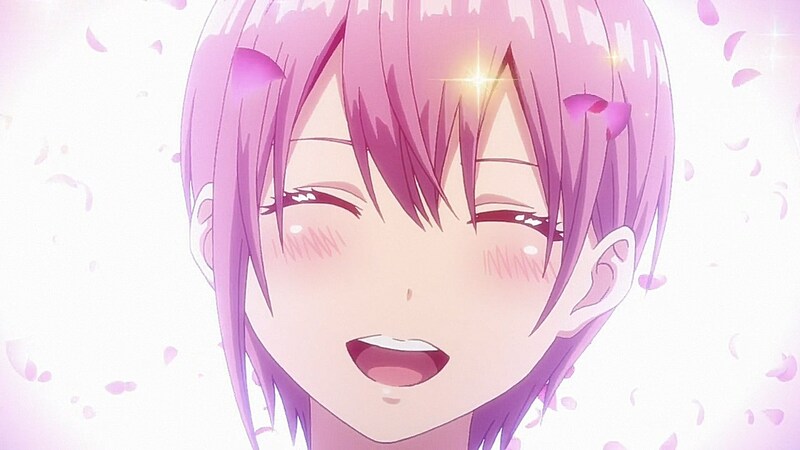 Kana Hanazawa does such an amazing job with Ichika that I could only vaguely catch her voice in her performance in comparison to a role like Nadeko or Kuroneko (the one other time she took me aback was with Raphiel and her quirks as a gleefully sadistic bully with one fatal weakness). 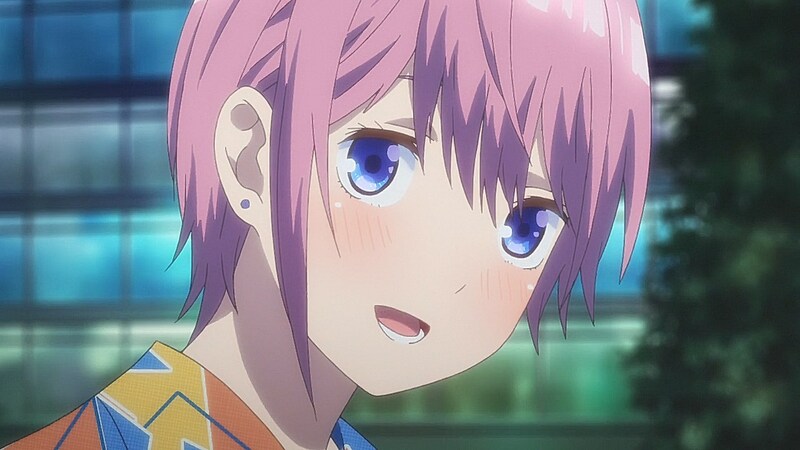 And speaking of sadistic, “playing against type” characters voiced by Kana Hanazawa, Prison School‘s Hana Midorikawa also comes to mind. Ditto the extreme sadist Iris Heart (Hyperdimension Neptunia series). 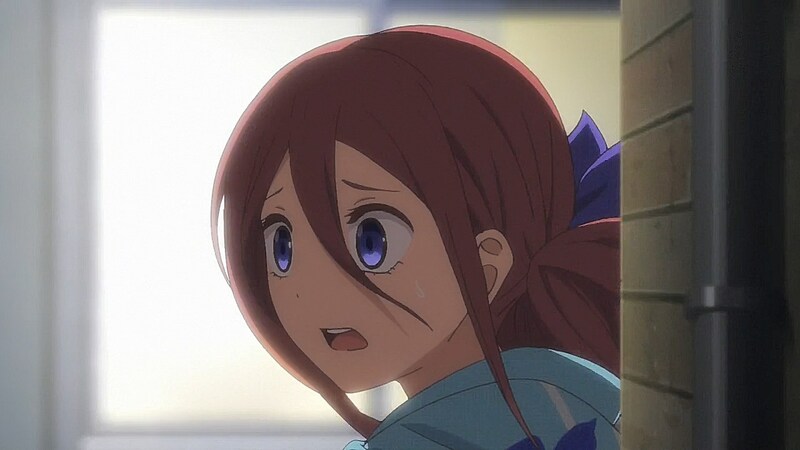 Otherwise, I still have fond memories of squeeing over Kanade “Tenshi” Tachibana, Charlotte Dunois, Kobato Hasegawa, Shiori Shiomiya, Mayuri Shiina, and Zange (besides the two characters you already mentioned). 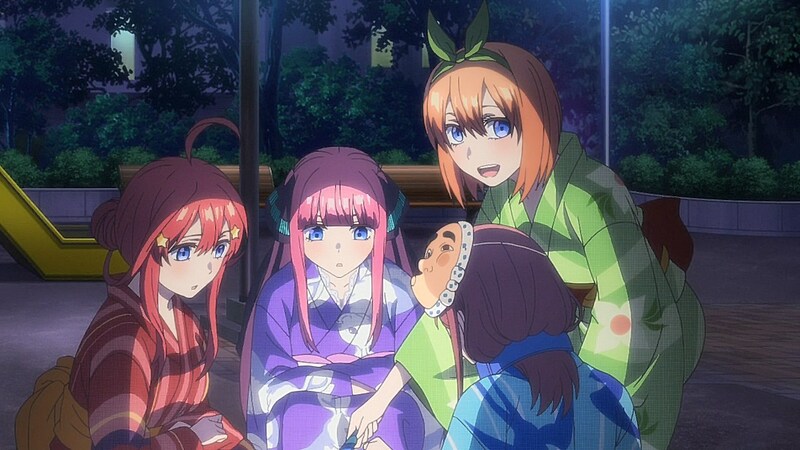 Ichika is a welcome addition to that list while somewhat playing against type as a cool big sis.